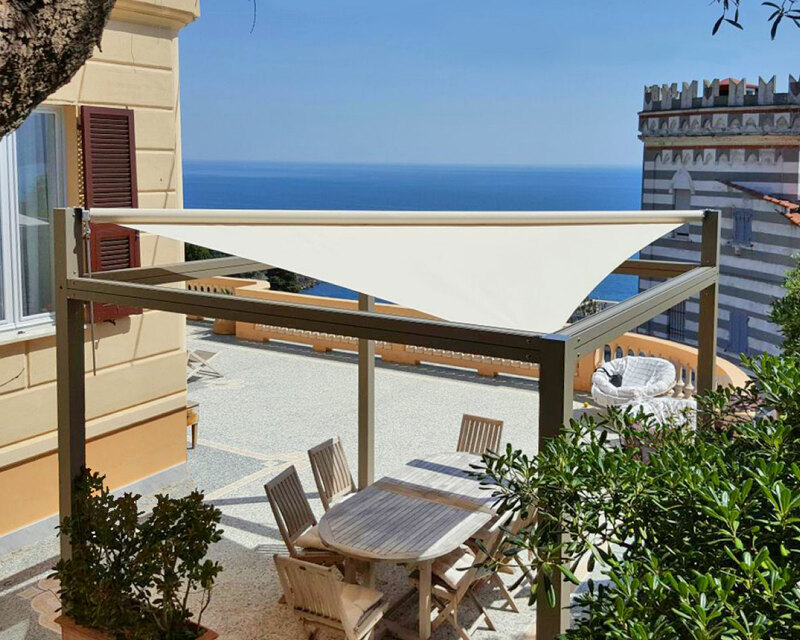 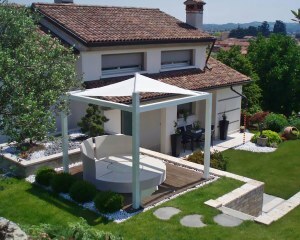 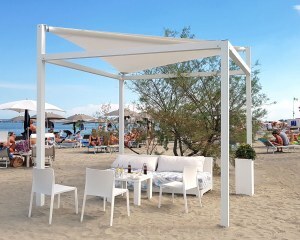 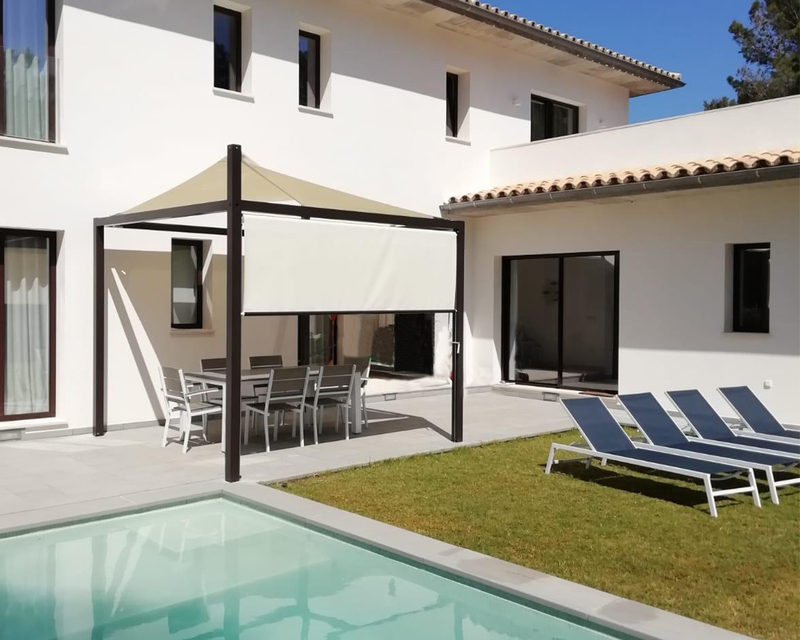 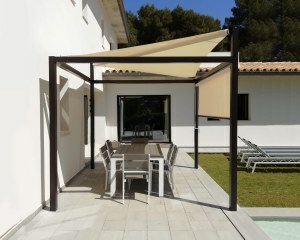 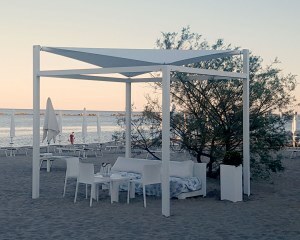 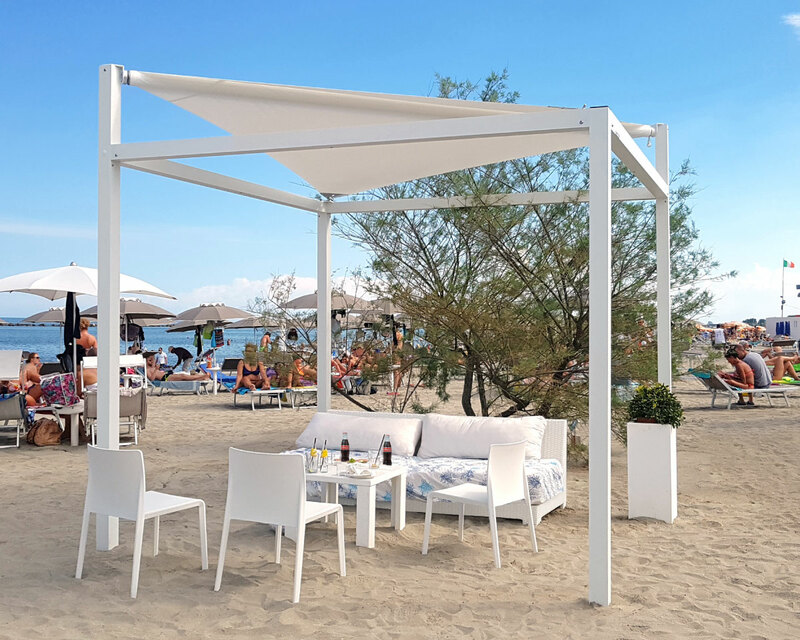 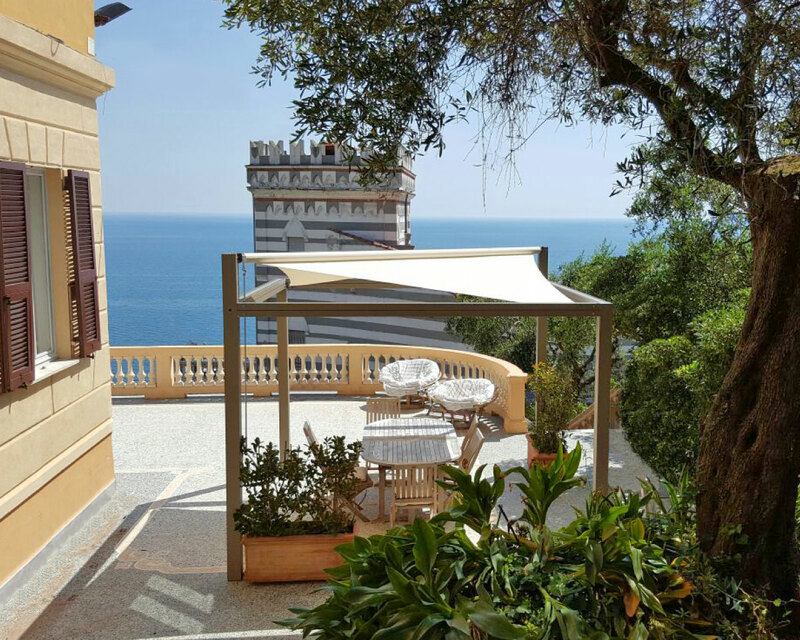 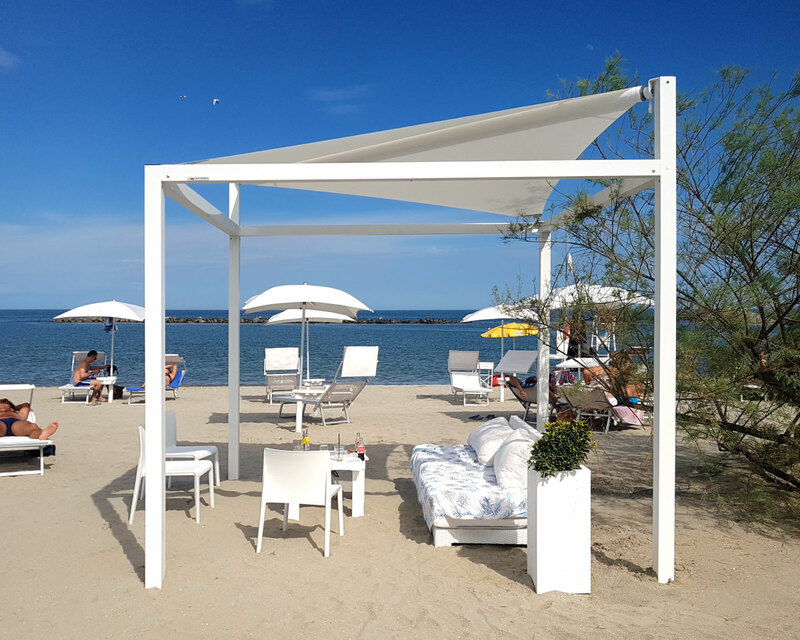 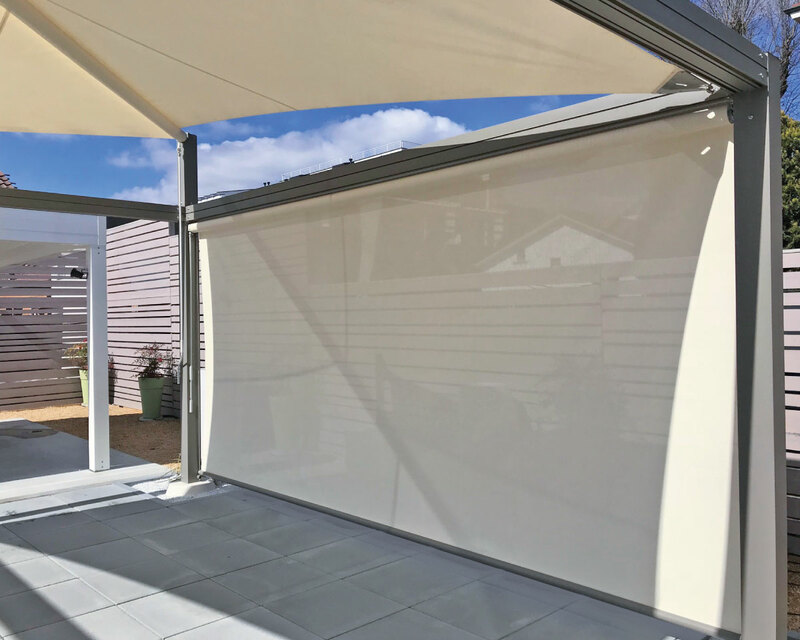 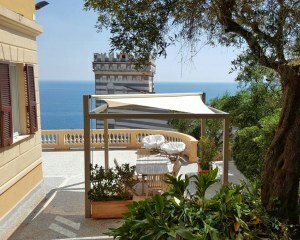 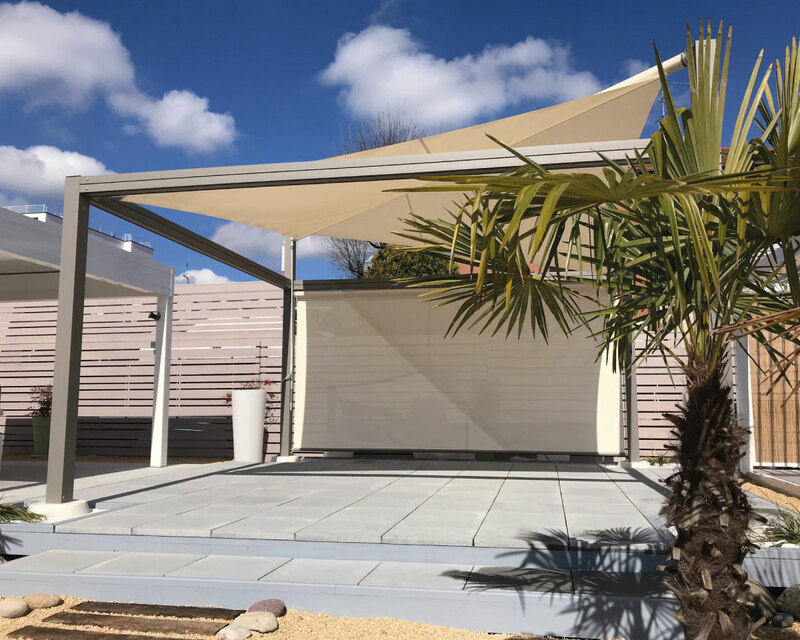 Sun shade sail for Arquati S.r.l. 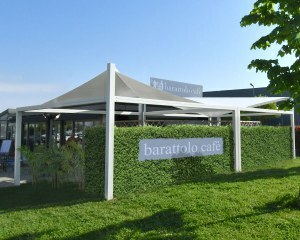 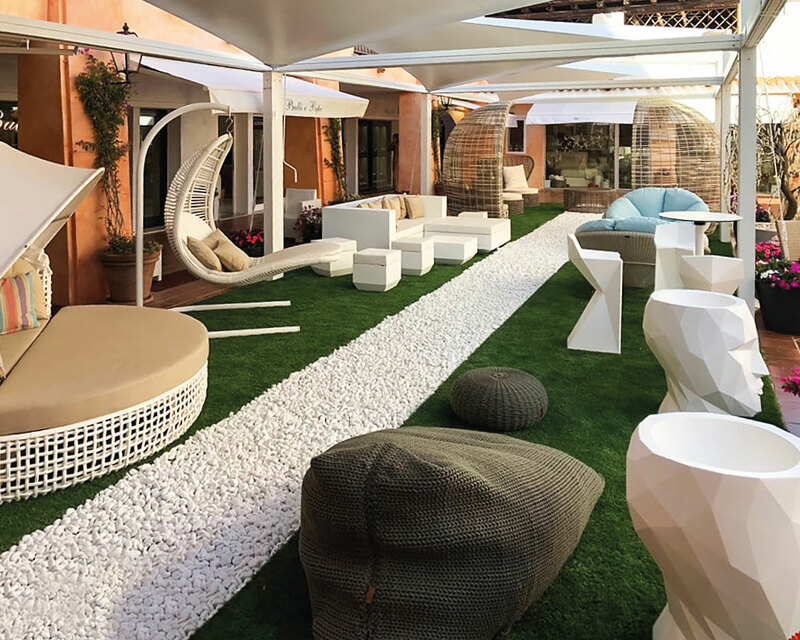 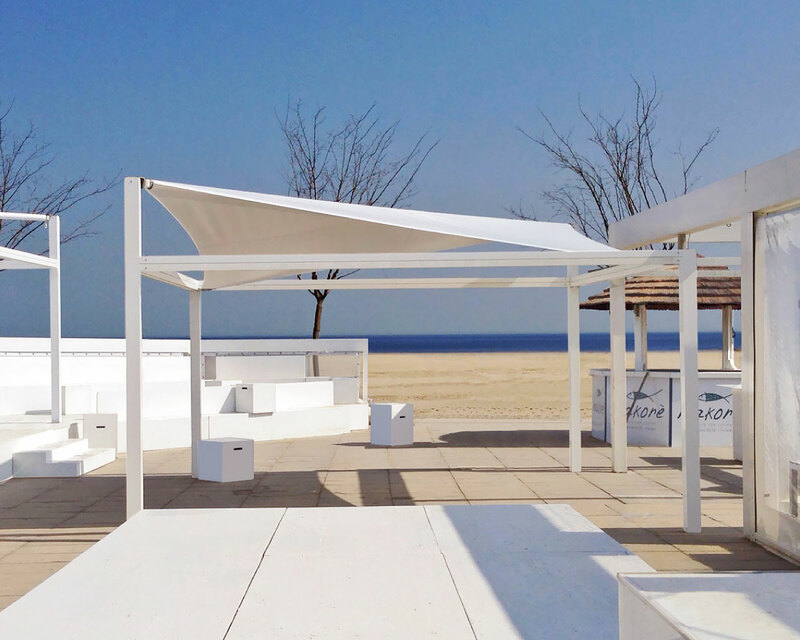 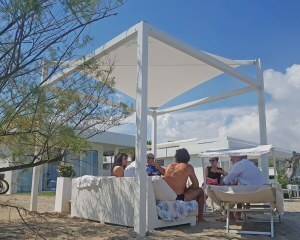 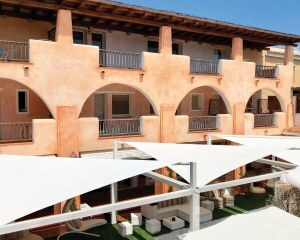 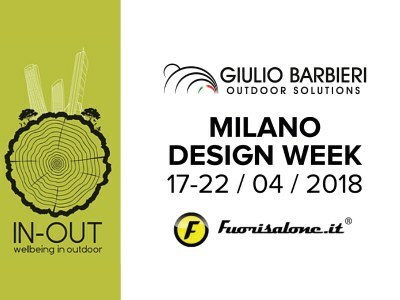 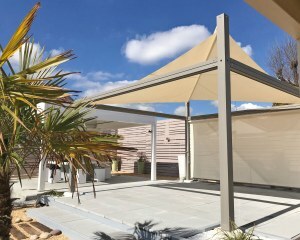 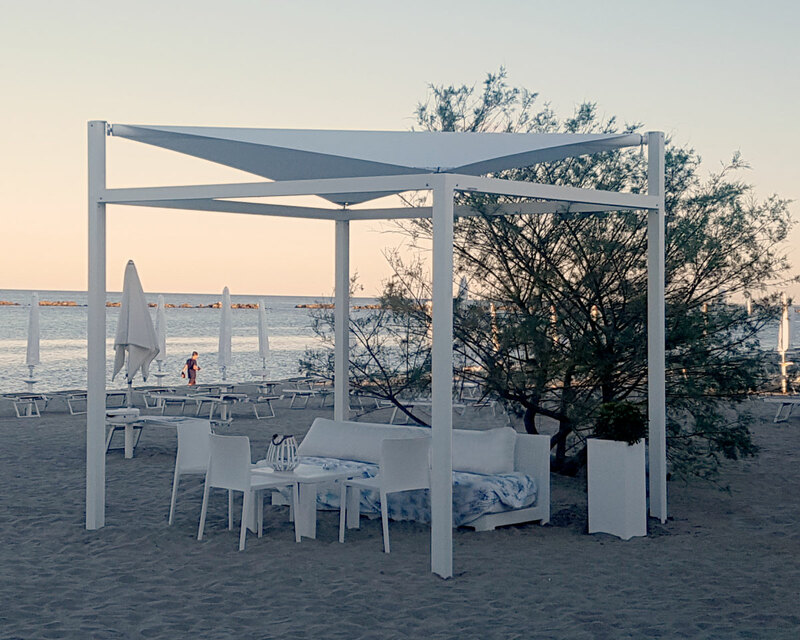 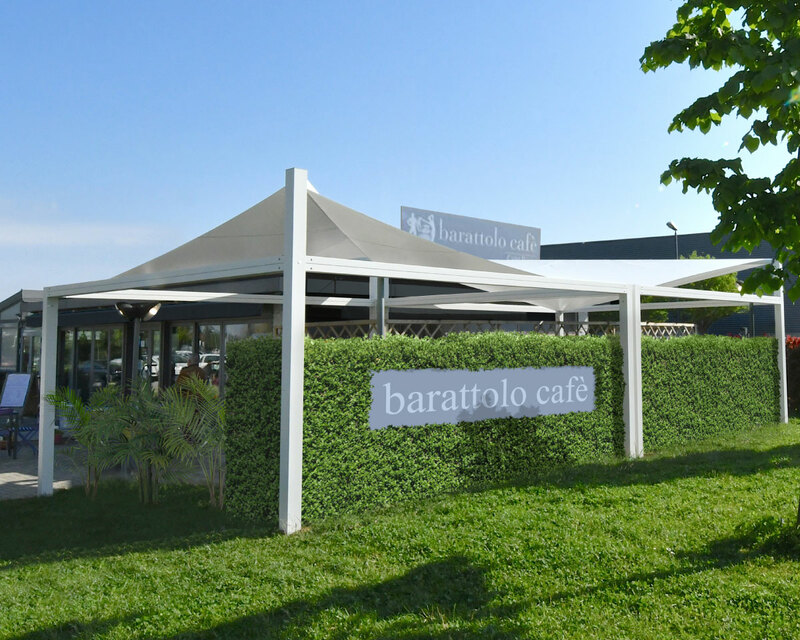 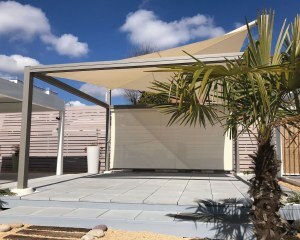 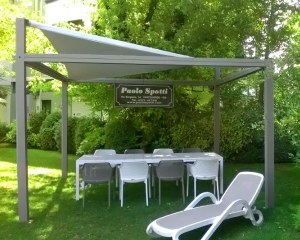 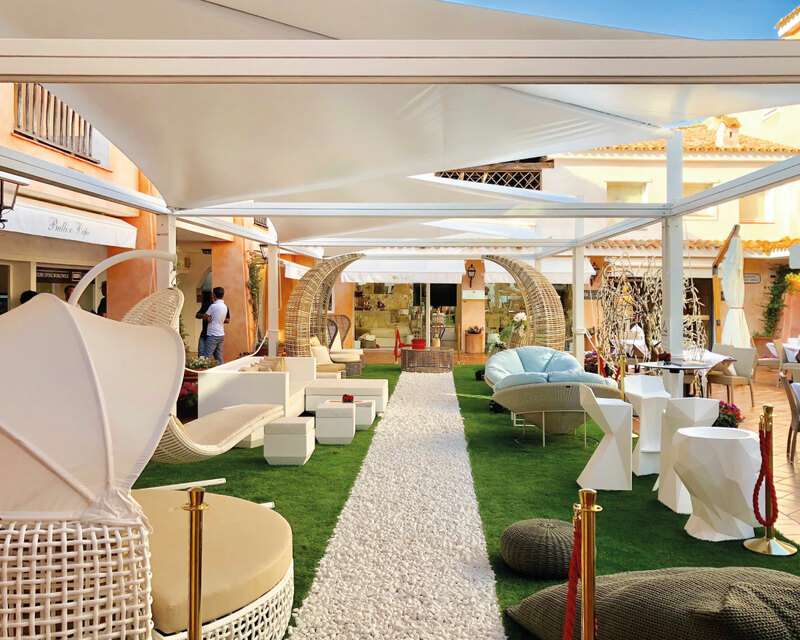 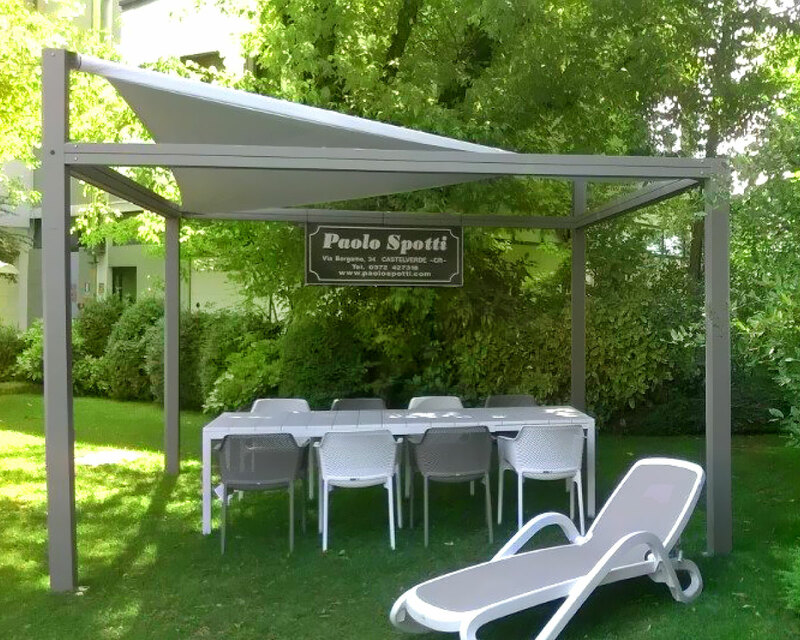 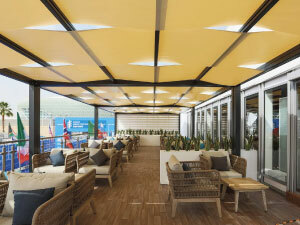 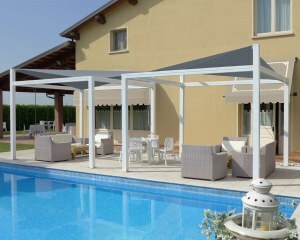 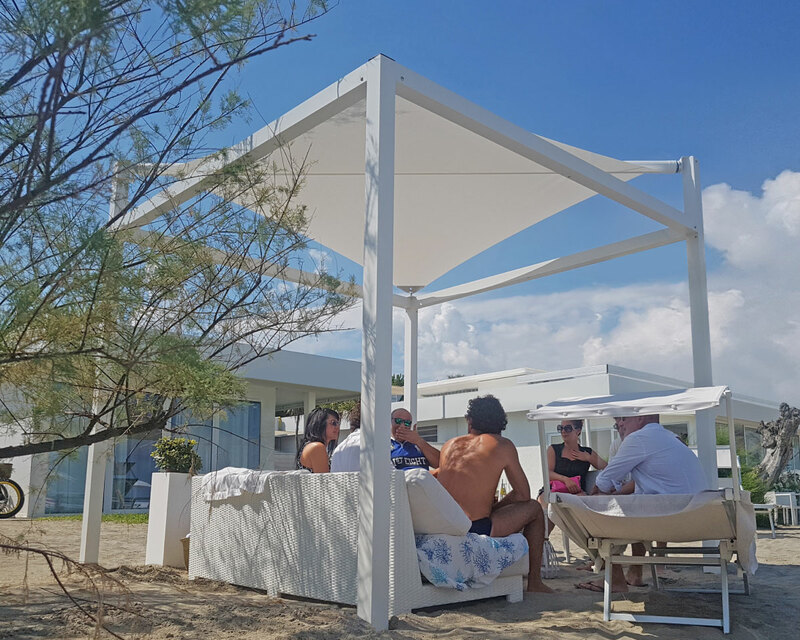 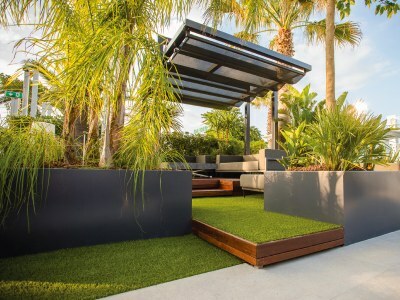 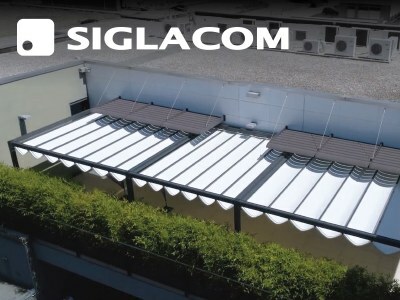 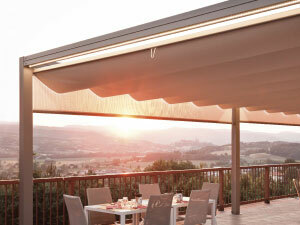 Branding can be applied to the plain walls and shade sails of the bioclimatic pergola. 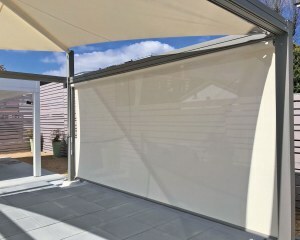 Branding is not available on mesh Fabric .